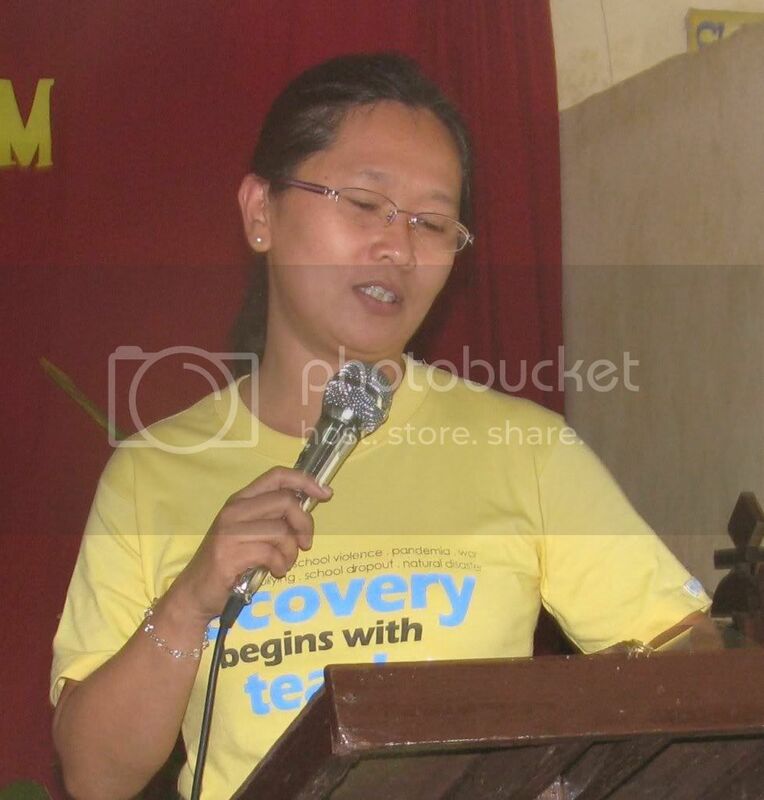 Using instructional materials (IMs), the teachers could be able to make their pupils learned. This had been exemplified by the teachers of Cubay Elementary School, Division of La Carlota City in their 3rd day (October 27) in-service training (INSET) held at Learning Resource Center (LRC) in the said school. Mrs. Ofelia N. Ayungon, special teacher of Cubay Elementary School discussed before her fellow classroom teachers some principles in using the different media; thus letting their pupils absorbed the lessons efficiently in the 3rd day morning session of their summer training. She pointed out that visibility and clarity were visual principles which enhanced the objects used by teachers in teaching to be effective in facilitating the transfer of learning among the pupils. Added with bold inscription or label and intensified with bright and attractive hues, the visual aids played a better role in teaching lessons, thus making the pupils learned. CES 13 teachers in a workshop supervised by their school principal were able to construct different types of IMs for their teaching aids in making their respective pupils learned and academically excelled in various assessment or test of the school and even in the division level. They used card boards, used newspapers, recycled cartons, used paper fasteners, among others as their materials for visual teaching aids. When they're done, every teacher published their outputs on the board by giving the usability, durability, and easiness of utilizing them to aid or enliven his/her lesson presentation. 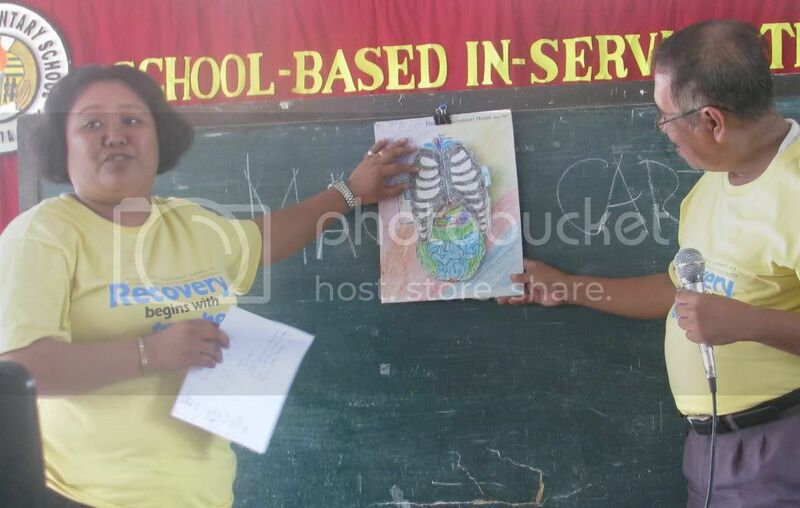 Miss Gemma Salazar, grade 6 science teacher, presented her cut-out of different systems of human body. She said her gadget which was a mounted of various human systems could lead her pupils to visualize the real human system one at a time. 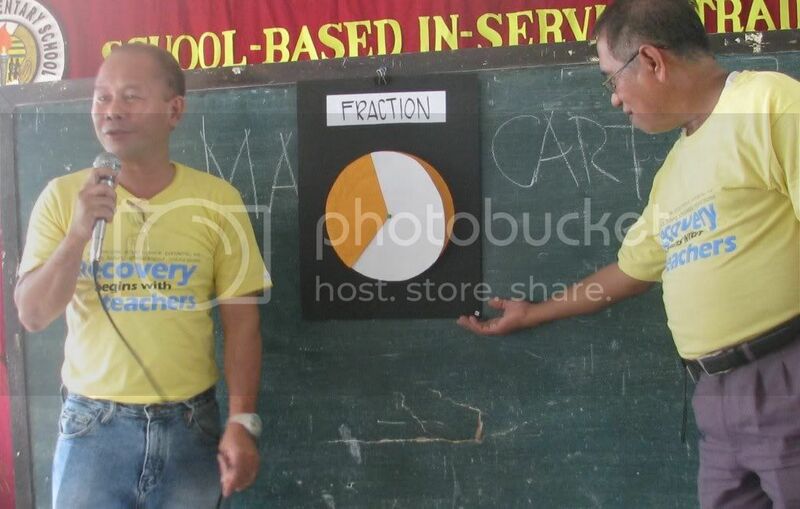 Mr. Mario Malacaman, grade 3 math teacher showed his cardboard fastened gadget in teaching different forms of fraction. He said it was easy for the pupils to manipulate and it was easy for them to recall what they've learned. Ma'm Jema Bajala displayed her colorful chart in teaching poem to her grade 5 English class. She said her pupils could learn well the poem because the chart that she's using had a colorful background related to her poem teaching. Her pupils were attracted and directed to reading the poem and aided with a vivid picturesque background. Mrs. Melanie Reyes and Mrs. Louelyn Atilano expounded their cut-out, mounted pictures respectively. 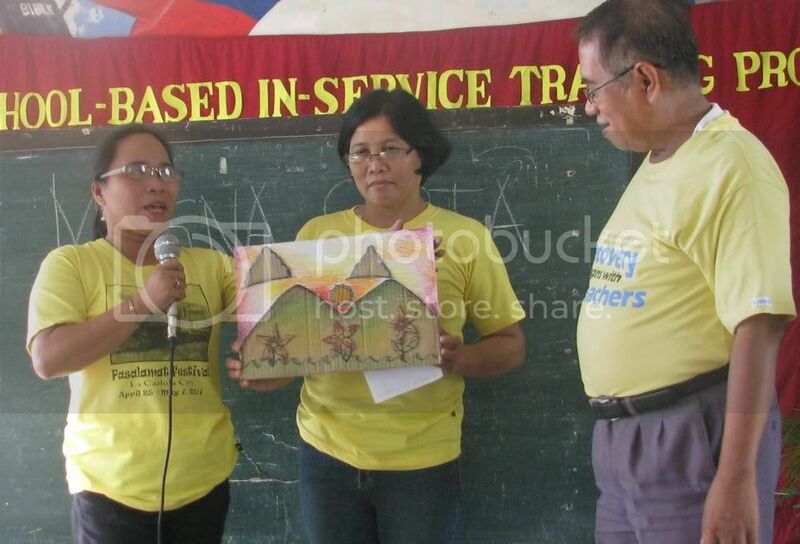 And Miss Lelanie Suyo and Mrs. Mary Ella Amar demonstrated how their pocket charts were being used. The presented media were some of the many varieties or types of instructional, teaching aids for the pupils. The common IMs used by the CES teachers are cut-out, mounted pictures, flip charts, pocket charts, diorama, flashcards, among others. Cubay Elementary School is envisioned to provide quality education to its pupils to be globally competitive. And the teachers believe that this could be done through efficient and effective teaching strategies, fair and just pupils discipline and strong and participative community involvement. I prefer to write down things ... when I write it down, I tend to remember it. I agree writing down things makes you remember things. That's why my brother always tells me to write down my to do list everyday especially now that I am recovering.